Codent Technology Co., Ltd locals in Foshan City which is one of important industry city in China. We provided with advanced design idea and experience, guided by concept of “Base on person with ability, Quality first, Humanity design”, insist on manufacture the product which convenient for dentist and benefit for patient. Our product have CE and FDA certification. 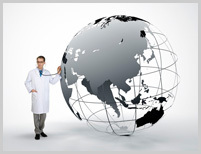 We cover the market in many country, such as Asia, Africa, Middle East, Europe and America. Our Major product—iLight Suction is the new design advanced product. Mouth is dark place but easy to be illness. Dentist can not see clearly is the big problem in dentistry. Our new product solve this problem. 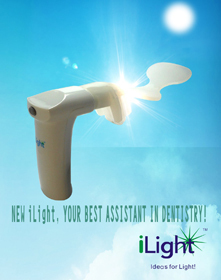 The powerful light source and mouthpiece make mouth bright. The Humanity design mouthpiece insulates the tongue and operation area. Dentist will be easier to operate. 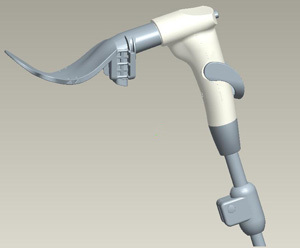 Device can connect with suction system; nurse can be released to handle more jobs. After testing, the device can save about 15%-20% operation time. Dentist can complete more appointment each day. Besides, in the market, the Fiber Optic product is very expensive. Use our Shining Suction can save many cost which use to buy fiber optic product.